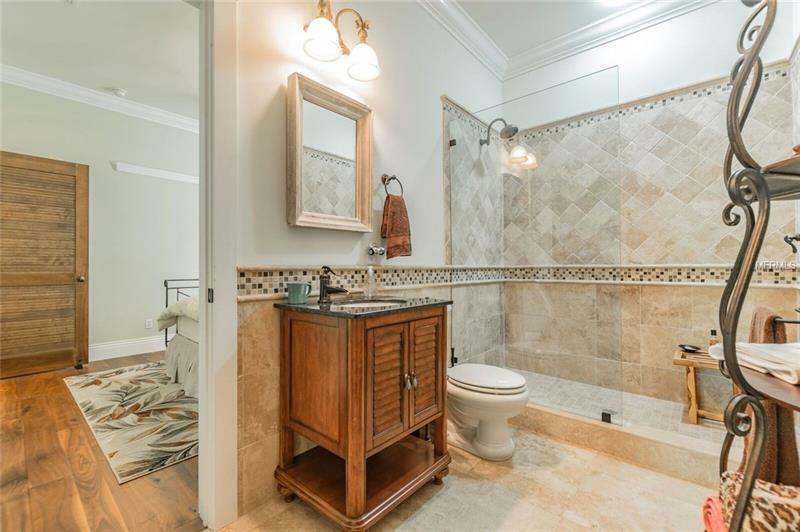 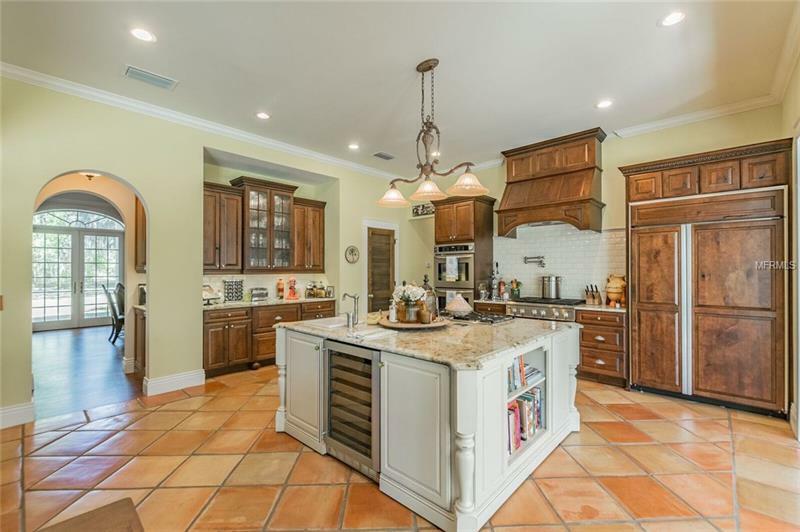 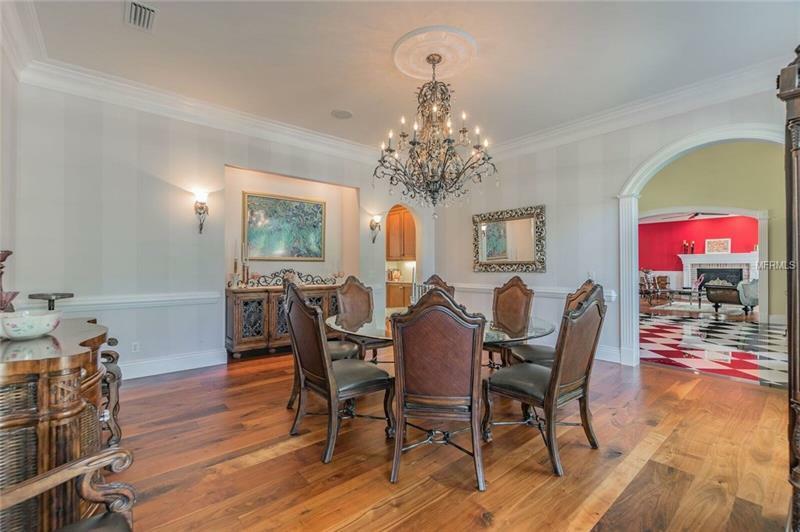 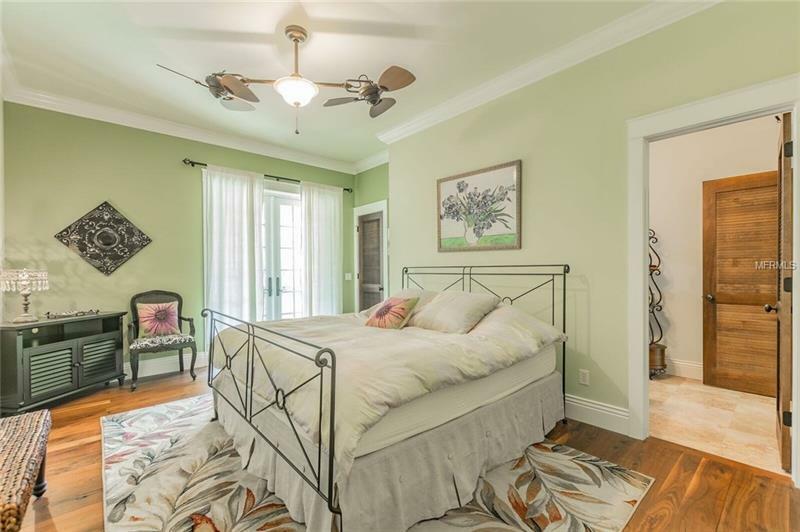 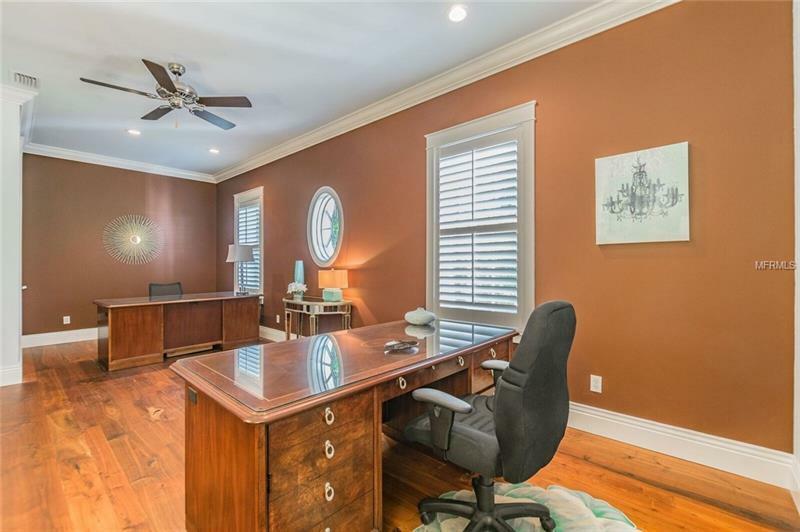 18501 Council Crest Drive, Odessa, FL.| MLS# T2935774 | Westchase Real Estate - Westchase FL Homes For Sale - Westchase Local Experts. 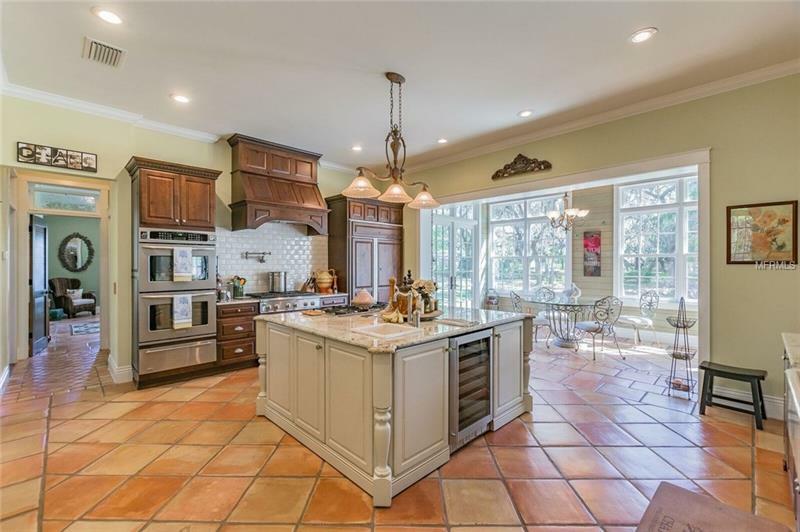 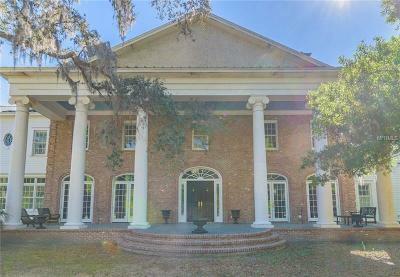 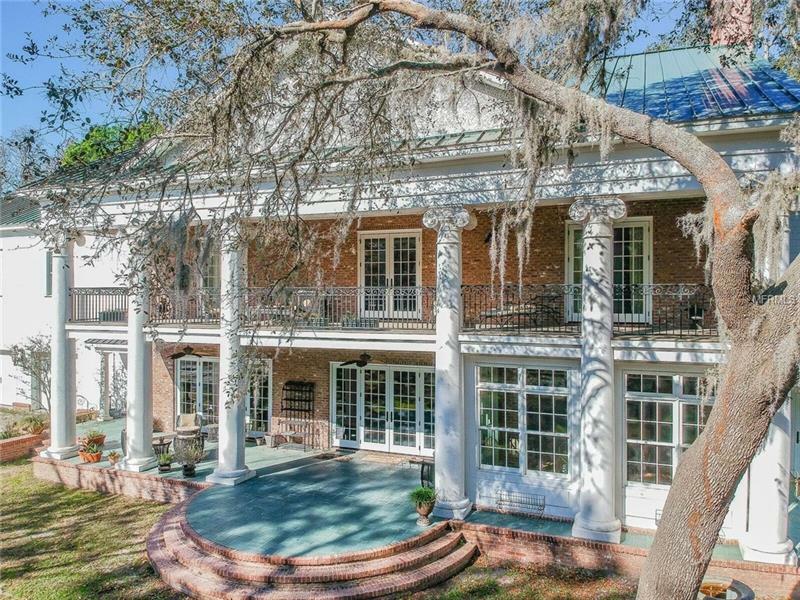 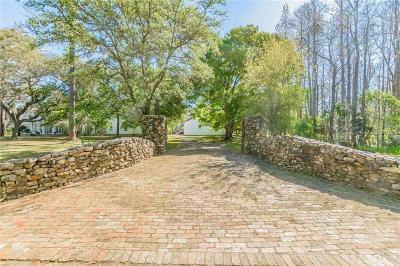 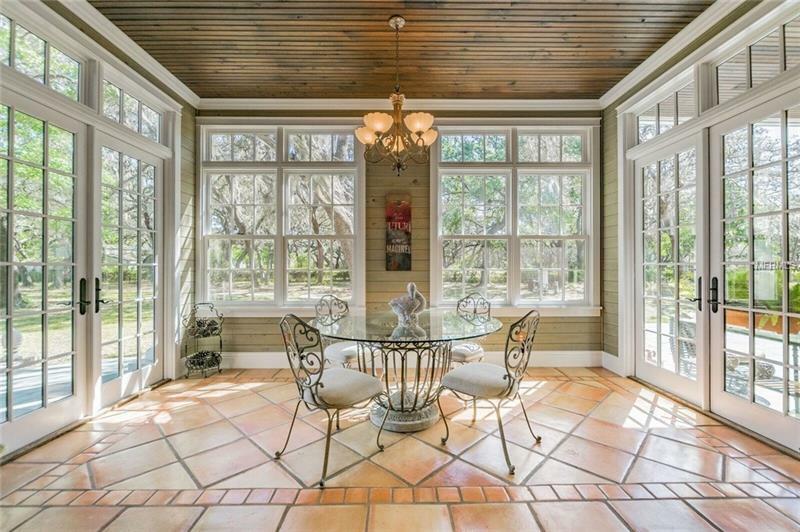 Imagine yourself in this traditional Southern estate situated on just under 4 wooded acres in the private enclave of Council Crest. 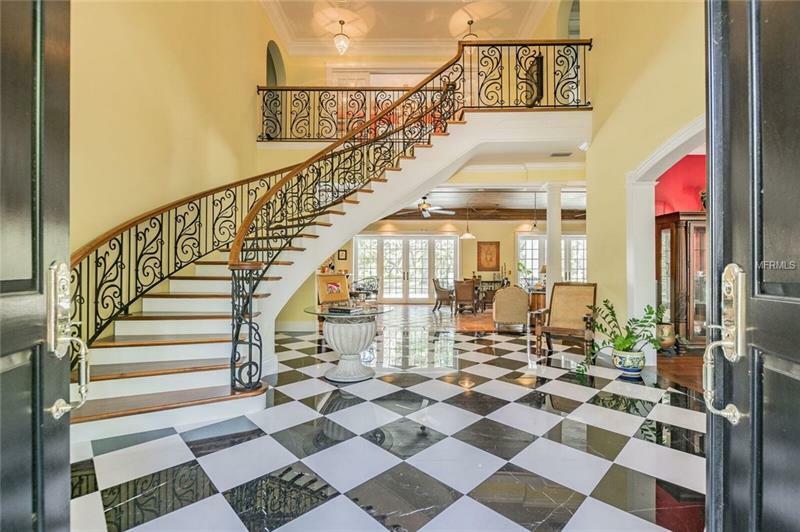 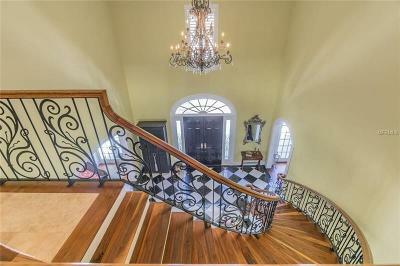 The custom-built home exemplifies a luxurious lifestyle replete with high end adornments throughout beginning with the formal entry foyer featuring marble flooring a custom built freestanding staircase with walnut treads and wrought iron balustrade. 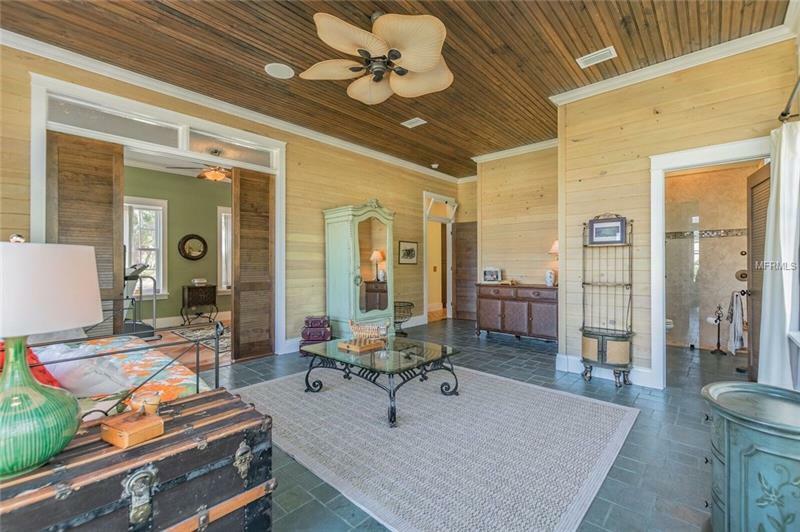 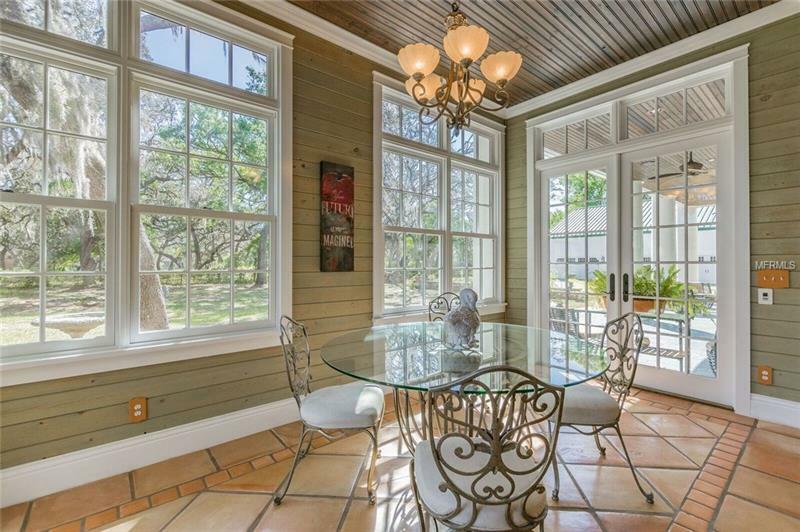 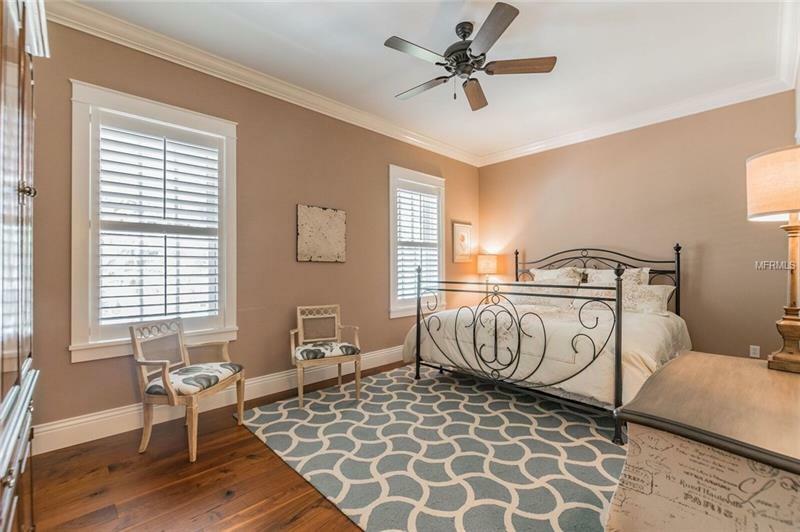 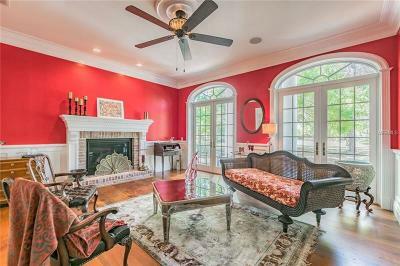 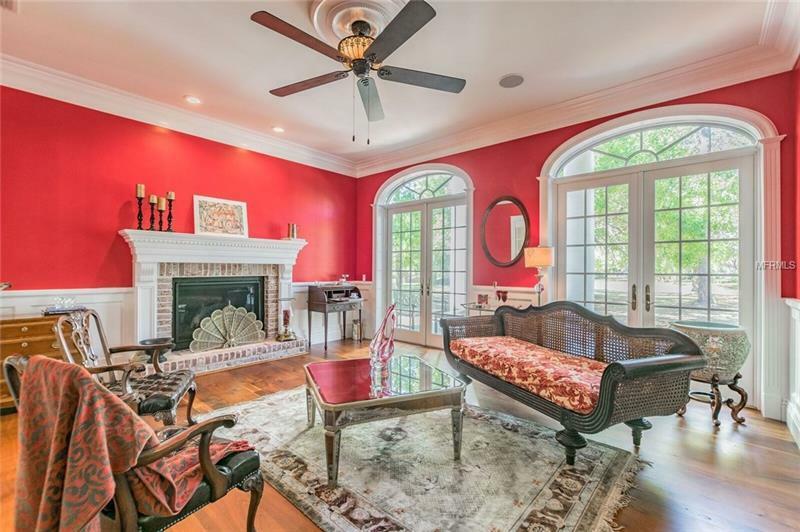 Custom crown molding featured throughout with ceiling medallions. 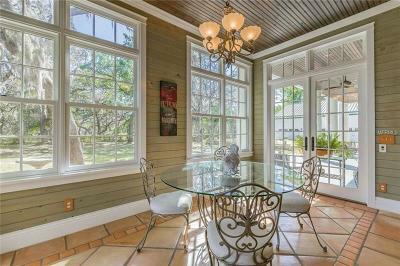 The dining and living rooms have wide plank walnut flooring a gas fireplace and French doors that open to the front porch. 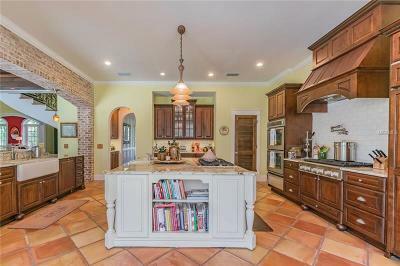 The kitchen which adjoins the expansive family room has Terra Cotta flooring GE/Miele appliances which include 2 gas stoves and a spacious breakfast area walk-in pantry and granite countertops. 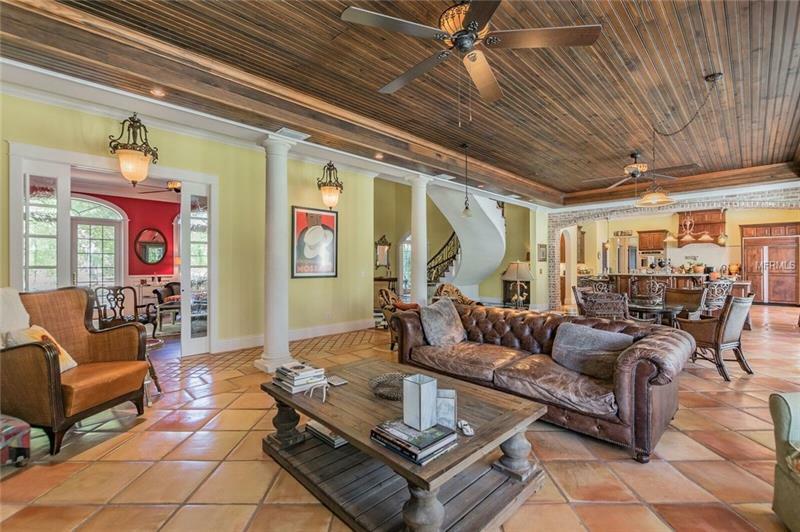 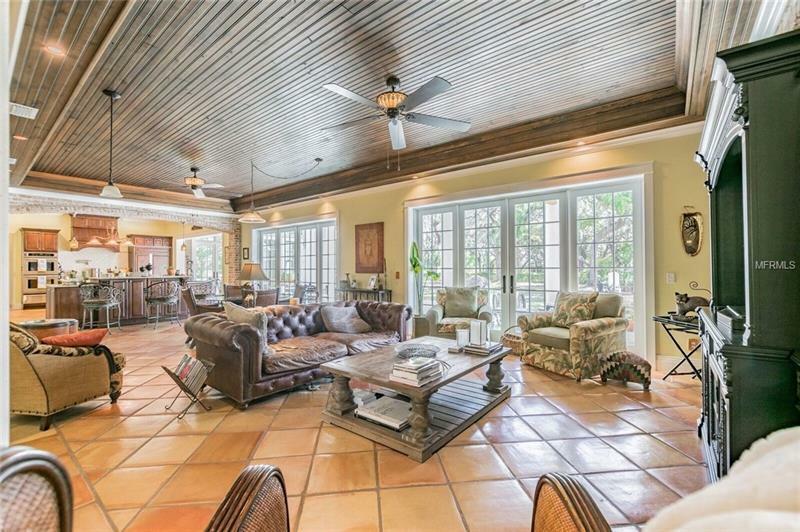 The family room is bedecked with brick walls archways and cypress bead board on the ceiling. 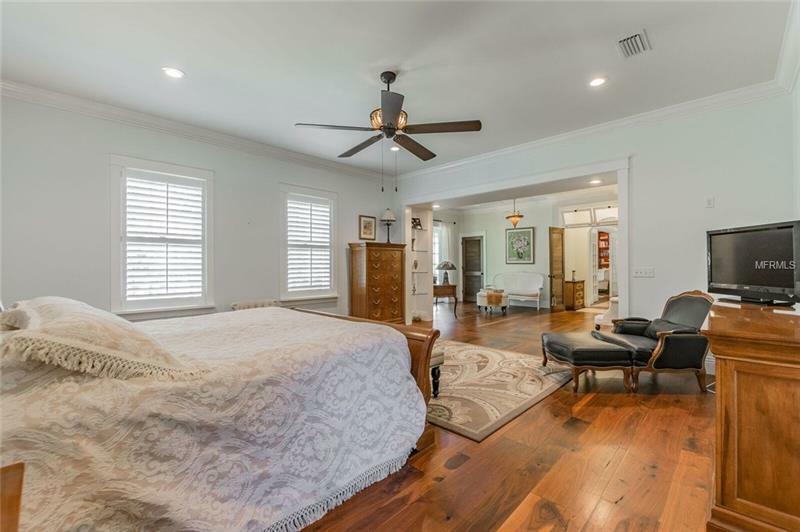 The guest bedroom suite with an adjoining exercise room on the first floor can easily transition into a 2nd master suite. 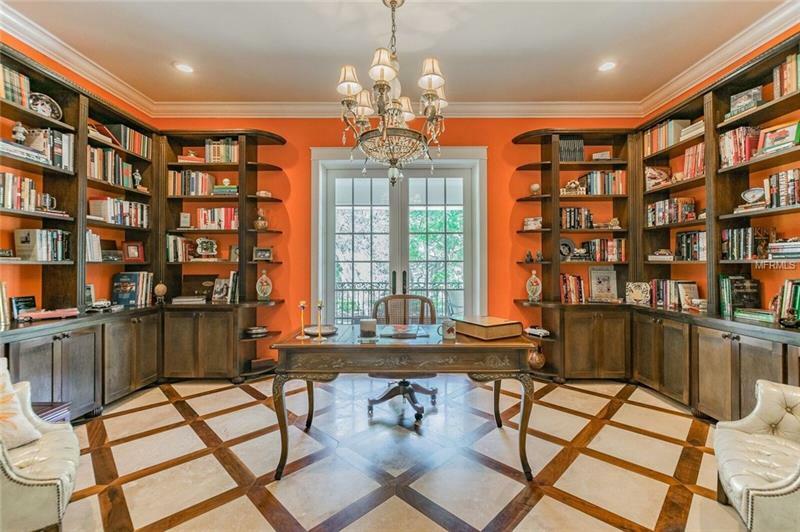 Upstairs the library has an imposing view of the center hall with walnut lattice flooring with travertine insets and custom built-ins. 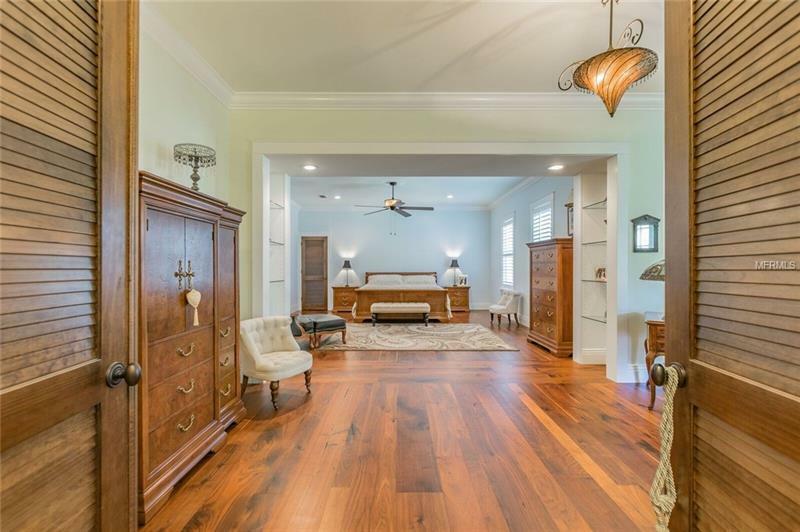 The master suite is lavish with a comfortable seating area and large walk-in closet. 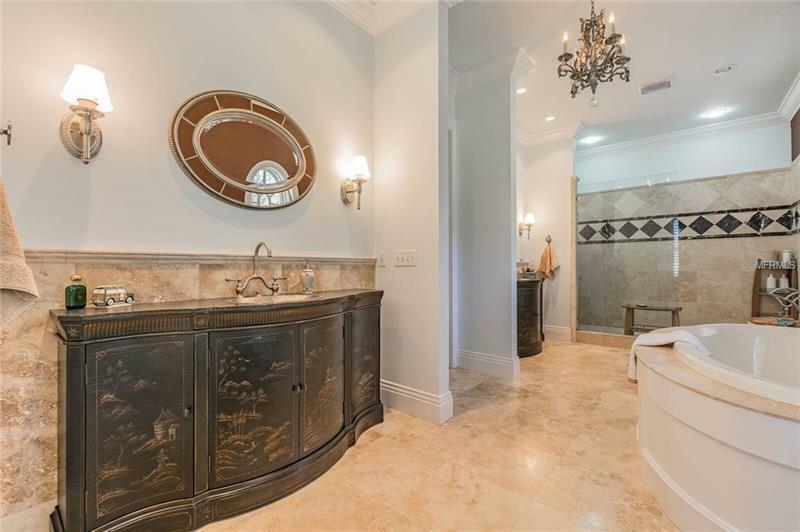 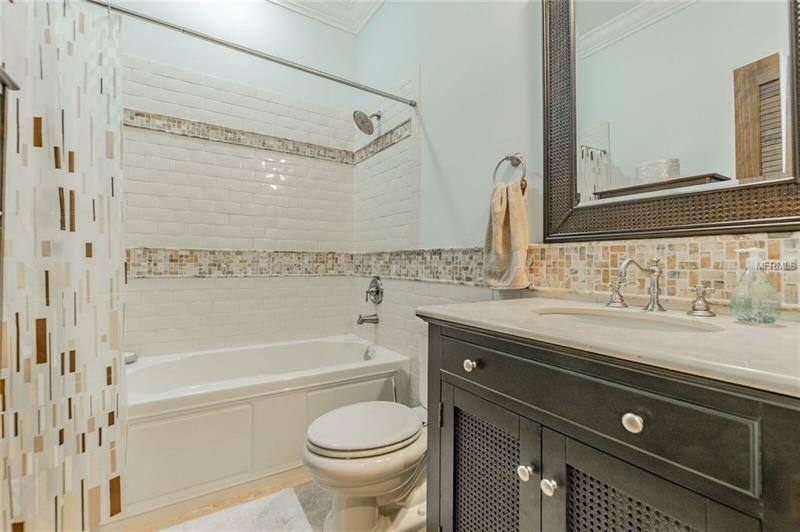 The master bath features a soaking tub walk in shower and dual vanities. 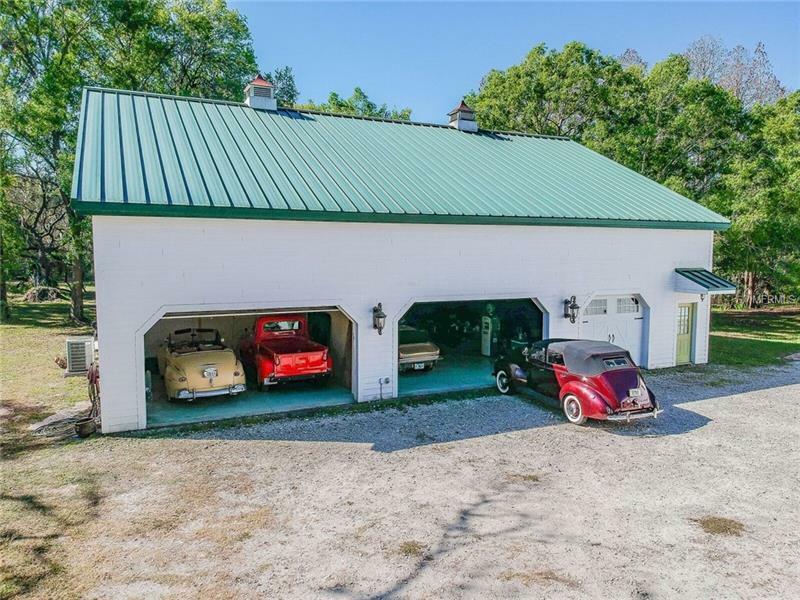 There is an oversized three car garage on the home with a standalone 3000 sq ft building with a full bath that can house up to ten cars/boats/RVs or convert a portion to living. Truly a car collector or hobbyist dream.